There comes a time in life when you feel a change is necessary. For me it was this last year. I’ve worked full time as an Engineer for over 35 years, and while I love the work (and more importantly the people I work with), there were so many other life’s interests that I wanted to try. In my case, spending more time on photography is one of the big ones… as well as music, travel, hiking, sailing, bicycling (I used to do a LOT of the latter) and so on. Having reached my 60’s, there’s the realization that the time left in front of me is not as much as I would like, and it’s important to spend more time on these things while I still can. So last week, I retired from the work I’ve been doing for so long. The image above is from yesterday’s sailing at Applegate Lake (photo taken with the iPhone 8 Plus). 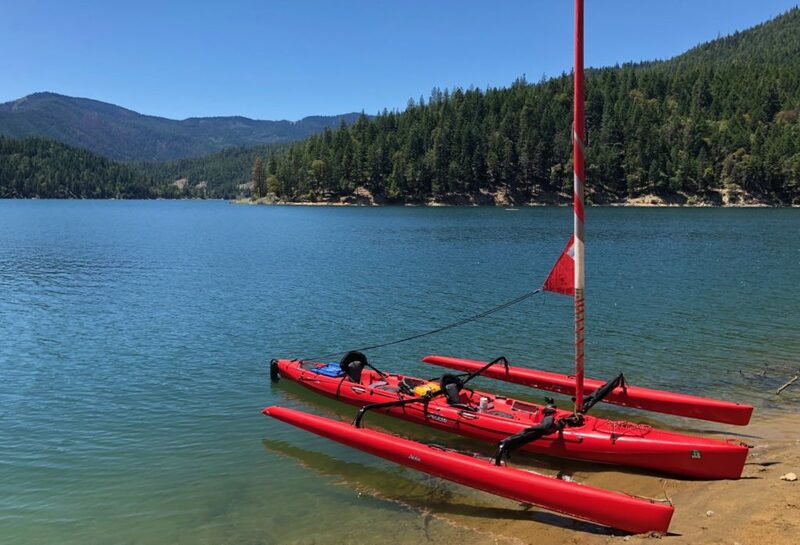 This is a very beautiful lake on the north side of the Siskiyou Mountains not far from the Rogue Valley. The lake level drops during the summer, so late spring / early summer is the best time to go.